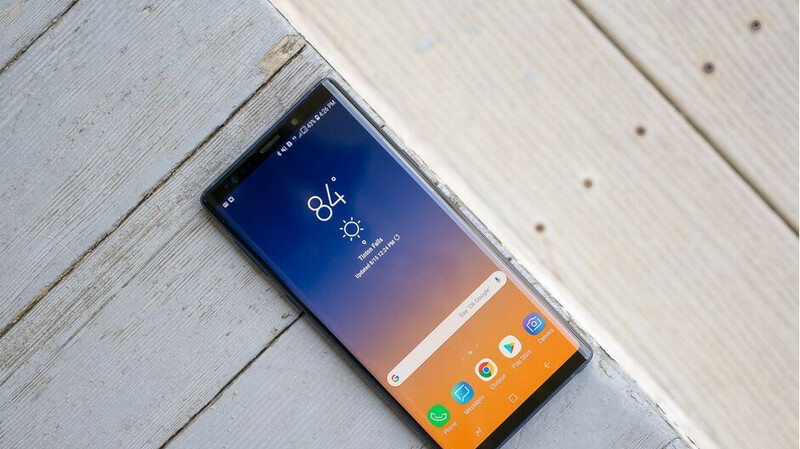 The quartet of Galaxy S10 phones has yet to be announced February 20th, but we are already looking forward to the Note 10, as, this year, it may differ more than usual from the spring chickens, despite what Samsung was claiming last summer. What are the usual upgrades we came to expect from the Note line compared to the S-line entrants preceding it? The S-Pen stylus, of course, but also a tad larger display, more RAM and bigger battery. This year, however, besides the largest ever display on a Note with its rumored 6.7 inches, the Note 10 may also use a faster chipset, at least in its Exynos reincarnation for sale outside the US. A prominent tipster whose best track record is actually in upcoming mobile chipsets and their features, claims in Chinese social media today that Samsung will release an upgraded Exynos 9825 version in the second half of the year. That would be a highly unusual move and one that might stem from the peculiar state of production nodes this year. The Galaxy S10 is said to ship with the latest 7nm Snapdragon 855 in the US, but Samsung's newest Exynos 9820 in other markets. The thing is, however, that Exynos 9820 is not a 7nm chipset, but actually utilizes an 8nm die shrink, and is not made with Samsung's 7nm ultraviolet lithography that is perceived to be superior to the TSMC foundry's aging production method that is reaching the end of its abilities. Apple managed to pull off a 7nm chipset in mass quantities with the A12 in the 2018 iPhones but had to use TSMC for it, as Samsung's EUV machines were still not ready to churn out chips in such quantities. Samsung's chief of the semiconductor LSI division called the technology "challenging," yet mentioned that Samsung expects to become a leader there. Why? Well, it will be the exclusive producer of second-gen 7nm chipsets, made with the so-called extreme ultraviolet (EUV) lithography equipment that helps laying down the minuscule transistors close to each other without too much drama. We will spare you all the juicy argon fluoride against ultraviolet details and will go straight to the benefits for the end user. Chips made with the second-gen 7nm EUV lithography can be produced easier now, with better yields, and with a reduced number of masks needed for production that will make them cheaper to make on average. At the same time, compared with the 10nm chips in the Note 9 or iPhone X, the 7nm LPP EUV silicon can be made with a 40% smaller footprint, and either 20% faster, or with the whopping 50% reduction in power draw. Apparently, they won't be ready for the S10, too, as it is expected to sell in the tens of millions, but the Note 10... well, that's a different beer, of the craft variety, and will be perfect for a cameo of Samsung's first 7nm EUV processors, if the Exynos 9825 ends up being a 7nm version of the 9820. Moreover, this could also be a chipset with integrated 5G connectivity. The Exynos 9825 may be coming as Samsung's first 7nm chipset with integrated 5G connectivity, and the Galaxy Note 10 may be a prime candidate for it in what is shaping up to be a very cool summer. Now, the only thing left to wonder is if that means the Snapdragon 855 version with Qualcomm's X50 modem will also make a cameo in the Note 10 models for the US. S10+ will hold me over until this monster comes in the fall. The best phone of the year is getting closer. It would have been great if the 7nm CPU was on the S10 but obviously its very challenging due to it being EUV. And when Galaxy S5 came out at the start of 2014 Samsung used Snapdragon 801. And the Galaxy Note 4 that came out later in 2014 had the superior Snapdragon 805 chip. So im glad Samsung are doing this again they have gone back to their old ways. God, I hope it doesn't have a stupid camera hole in the display. That's one of the best features. Looks futuristic and fresh. Note 10: 5G, 12GB RAM, 1TB Onboard Storage, and Micro SDXC Card Support. This, I would Definitely Purchase!